In this episode of Your Business Your Rules I invite Camille Thurnherr, my accountability buddy and Founder of PrioritiseLove.com, in for a chat to give an behind the scenes peek on what it’s like to have your own business. We chat about the highs we experienced, the lows and what it’s been like going on this journey together. In the podcast we briefly mention an interview I did with Camille on how I found love. You can find that interview here. 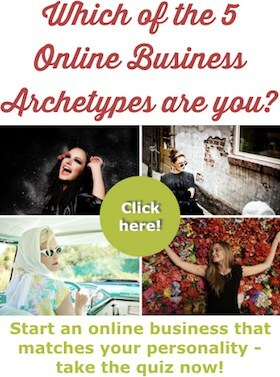 What’s Your Online Business Archetype & Why Does It Matter?